This import duty has caused the American pick-up market to become an isolated market, controlled for 85% by just three automakers: General Motors, Ford and Fiat-Chrysler Automobiles, with pick-ups that are barely exported to other parts of the world, but which deliver huge margins of more than $10.000,- per truck sold (or, as the Automotive News reporter calculates: roughly the median household income in Greece). Compare that to the compact and midsized sedan market, where the Japanese have been kicking the domestic manufacturer’s butts for decades and the Koreans have joined the party a few years ago. Especially the midsized sedan segment, where the Toyota Camry is king, followed by the Honda Accord and Nissan Altima, is a fiercely competitive segment, where few automakers actually turn a profit. 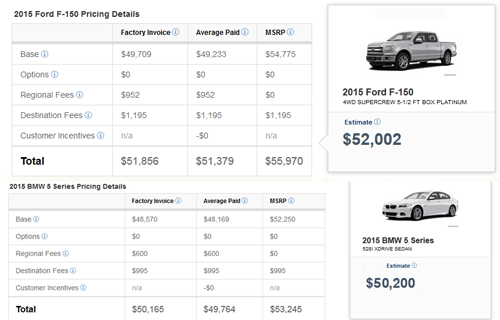 How is it possible automakers can earn such enormous margins on such low-tech products? Because let’s be honest, it’s not very ingenious to slap a not very efficient V8 engine, a cabin and a pick-up bed on a steel frame, so why would those simple trucks need to command an average transaction price north of $40.000,- or about as much as a technically much more advanced sports sedan like the BMW 5-series? Well, a lack of competition is why. The American brands have had a field day for half a century, because the barriers of entry were too high for most others to join the feast. Toyota and Nissan are the only competitors who’ve built manufacturing capacity in North America for pick-up trucks, but have failed to break the Big 3’s stranglehold in the truck market and they’ve never achieved the economies of scale of their US rivals. In the rest of the world, large pick-ups like the American ones are virtually nonexistent, and the midsized pick-up market is divided by a number of players which include the Toyota Hi-Lux, Mitsubishi Triton (L-200), Nissan Navara, Ford Ranger, Isuzu D-Max and Volkswagen Amarok. 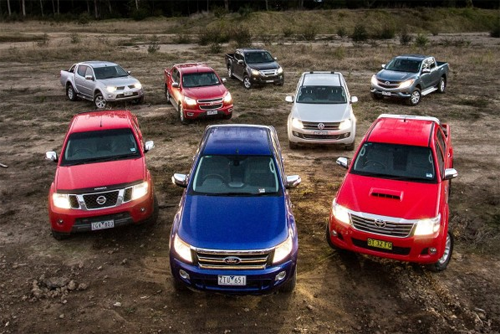 Most of them are built in Thailand, none of them is for sale in the US (although Toyota and Nissan offer midsized pick-ups in North America: the Tacoma and Frontier) and none of them commands a profit margin anywhere near that of the US pick-ups, simply because of heavy competition between those brands. I’m not accusing the American manufacturers of cartel pricing, but I am pointing out that the American government has given those automakers the opportunity to slack instead of being innovative and to overcharge instead of competing with foreign challengers. The lack of competition in the US pick-up market has given the domestic automakers the opportunity to charge inflated prices in that specific segment for years, at the expense of the American pick-up buyer. These include big corporations, but mostly small, hard working small-business owners, and retail customers looking for towing capacity and utility. They are the victims of their government’s silly policy, as they’ve been starved of competition in the biggest segment of the US auto market. As the US government is working on trade deals with a large number of Pacific-rim countries, the infamous chicken-tax looks destined for the chopping block, but that won’t happen overnight. It’s likely to be phased out over years to come, and that will give the domestics plenty of time to adapt to a changing environment. 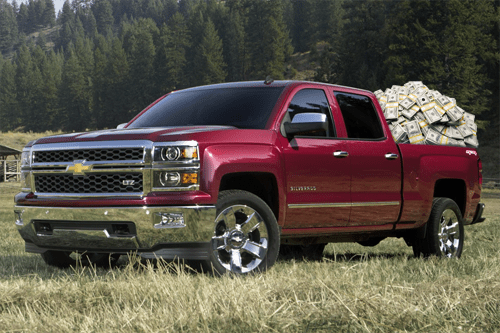 As that happens, the American pick-up buyers will benefit from increased innovation, lower prices and more choice. But please don’t thank us by shipping your chlorine chicken this way. Good point, James. But what I’m saying is that they’re merely using the opportunities given to them by their government. Of course they try to sell their trucks for the highest possible price, like any company would in a capitalist society. That’s exactly why capitalism works best in a free trade environment. Then the market decides the prices and competition will keep them reasonable. This import tax is like a subsidy to the local automakers, but it’s paid for by the buyers of these vehicles.